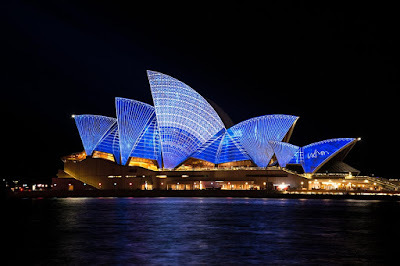 My husband and I have always wanted to take a vacation to the beautiful city of Sydney in Australia and we have finally put it on our to-do list for Fall 2012. The Blue Mountains Sydney is a beautiful area and there is a lot of activities to see and do while visiting there. * We would like to visit the Featherdale Wildlife Park. * We would like to visit the Nurringingy National Reserve (for cool boomerang throwing lessons). * We would like a guided walk up to the Mountain Cliffs and down into the Valley. * We would like to visit Historic Katoomba (I would love to see all of the victorian charm that this place has to offer). * We would like to take a ride on the Historic Blue Mountains Railway System (that sounds like fun and something we have never done aka a train ride). * We would love to take a visit to Sydney's 2000 Olympic Park. (we loved watching the Sydney Olympics on TV so we would like to visit Olympic Park). * We would love to visit the Sydney Harbour and perhaps take an evening dinner cruise. * We would love to do some hiking and biking in the Blue Mountains and heard that they have beautiful riding and biking trails. * We would love to spend the day at the Sydney Zoo. I have always wanted to see live Koala Bears up close and personal! Doesn't all of that sound like fun? Well...we hope to visit Sydney, Australia in fall of 2012 and that is our "short" list of things we want to see and do in Sydney. Have you ever visited Sydney? Do you have any suggestions for us on things we need to see and do while visiting there? Any tips for us? If so, please leave them in the comment form below.